Is there a similar CSS code to make it with the PAGES? Code is fixed. Includes pages now. I can't even get that pop-screan to appear with my blog. 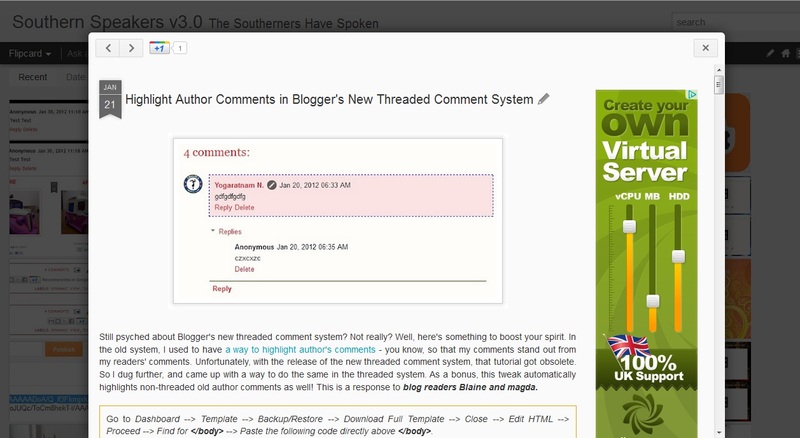 Blogger says the Lightbox won't work with Dynamic View. I don't think lightbox works with Dynamic View, but you aren't using Dynamic View template, so it should work in your blog. Let's sort this out in the forum. At the picture above that you demonstrate the pages i can see advertisments on side. How i can add them? can i do that with other adver services? The two values must agree to each other. Feel free to play with them. Some of my page has long contents and with IE, I cannot scroll down to read all the contents. Do you have code to extend the length of contents in pages? Thank you! That should take care of it. Cheers! And I also want to know if I can change the gray background of the entries in the view "Flipcard". Thank you very much for your help, God will give you long life. is there a way to get images posted to expand across the full post page length? I've used the above code you gave and it worked in extending the post across the window but the images stay smaller. I'd assume it can be done - but not automatically though. You're gonna need to edit your post - click on your image - and choose 'original size' as its size. It goes without saying that you need to use a Hi-res picture for this to work. I have a problem, my adsense ad on the right in the posts only can be seen half of it unless i scroll it to the right. Is there any way for me to let the adsense to be seen fully on the right when i click on a post? I'm seeing your full ads without having to scroll. Is there a particular post that I should be looking at? Thank you very much, sensei. Your code works great! However, my second question, I was referring to the possibility to change the background of the pop-up post pages in Blogger's dynamic view, which has an unpleasant gray. Also I have an observation with one of your codes, but I'm going to ask the related post. I'm not sure if I'm getting you right. Your pop-up posts have white background in your Flipcard view. Where exactly can I find this grey background that you're referring to? Thank you very much and sorry, sometimes I have hard time translating what I say in Spanish to be more explicit. jajajajaja, sorry, I think mine is have some obsessive compulsive! Works great! Sincere thanks for your patience. Can you suggest me anyway to maximize the blog and to remove the border kind of space from all side?? Have you tried going to Dashboard - Template - Customize - Adjust Widths? firstly thanks for all the help over the last few months!!! On my blog I cant seem to post to the full width? There is always a blank white space on the right of my blog? Any ideas? is it some kind of sidebar that is stuck there? I can't find the code in this tutorial anywhere in your template. Did you save your template after inserting the code? I just tried it again and it worked! Ive used so many of your codes and always done so well - now I let myself down. hahaha. Thanks again - extremely impressed with your knowledge and the time you give to people! What if you want to do the same with 'magazine' dynamic view the one with popup, make it as wide as the popped up window? The code in the original post should be able to do that. thanks for all of your tips! I'm trying to limit the size of the post pop-up based on a percentage of the screen size is that possible? Have you tried setting it somewhere below 80%? If it doesn't work from your end I think it is best if you use a static value (px,cm,em) instead of a relative one (%). Hi there. I tried the code you shared in this post and it worked great! However, I don't quite want my posts to be the maximum width. I'd like them slightly smaller, so that when people hover over the menu on the right side, the menu won't cover part of the blog post. Could you please tell me how to do this? I tried to just adjust the numbers in the code that you already posted, but it didn't seem to work. Thanks so much! Actually I wanted to know if we need to add adsense in the layout to get ads or they will align to the right of the posts automatically? Their position can't be manually set. And I've realised that for some reasons, the ads wont always load in Magazine view. In a previous question you helped someone (VERA) view the whole content of their PAGES in dynamic views by creating a bigger buffer at the bottom. I use Firefox and tried your edit to CSS, but it did not work - given different browser. Can you please help me out with some code? THANK YOU! Sorry for the late reply. The tweak given to Vera should work on your blog as well, but I can see why it's not working. Somehow, all your code in your 'Add CSS' box is repeating itself. Have you noticed this? You've changed the numbers in one of the code, but it got over-ridden by the repeating codes (you've changed the value to 140px, but the repeating code says 120px). You need to remove all but one set of code. I strongly recommend you to use a different browser because usually the repeating code is caused by your current browser. But you should take care of the repeating sets of code first before updating your code. thank you! that's interesting about the repeating code. I will fix it and then give them both a go now... BTW which browser do you recommend? I love Firefox coz due to the customisation options available in it. Then again, some add-ons could clash with web services.. In your case, I'd recommend a clean version (without any add-ons) of either Firefox or Chrome. I chose the Flipcard mode as my template. Is there a way to fix these matters? - Is it possible to put a thin colored frame around the post? You've published another comment regarding your flipcards, just wondering if you still need help with this query? I've just come across your blog, and you seem pretty omnipotent... please could you help me with what I hope is a very simple problem... I use dynamic view and for some reason all of the text in the blog posts have shifted over to the left and there is a massive space on the right side! I'm probably being stupid, but I can't see a way to correct this in the template designer. Yeap, that's pretty easy to remove. Go to Dashboard - Layout - click 'Edit' on your 'Blog Posts' box - Uncheck the box that says 'Show Ads Between Posts' - Save - Save arrangement. I think I've got the same problem. Recently switched to Dynamic View - Filmcard, and was previously showing ad's but not anymore. I've switched ad's off in the Dash, closed the AdSense account, everything I can think of but still have the big space to the right of the post text where the ad's used to be. Appreciate it if you can help me out. I was wondering, can we do the same for pictures? I mean instead of choosing 'original size' for pictures (which I've noticed would move out of the post width on some monitors but would work fine on some) can we have a default width which is always set to fit the full width of posts? Let me know if you need example screenshots. Unfortunately, the same can't be done for images. Page width can be easily set using CSS. But image resolution isn't as easy as that. 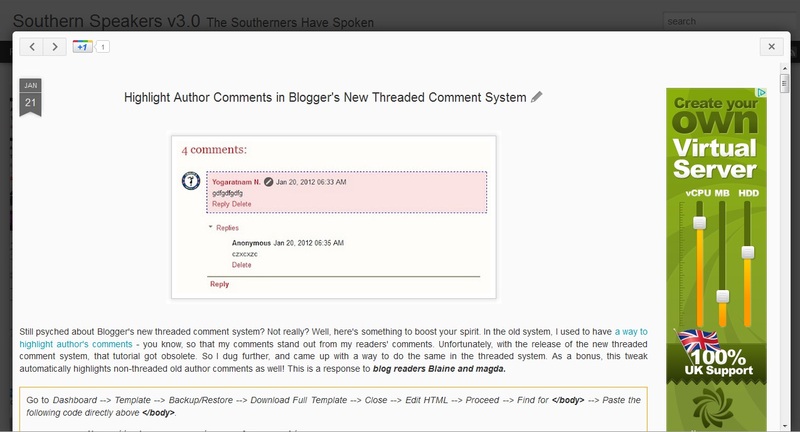 I'm afraid we're gonna have to use the post editor to alter the image size if we want the best image quality in Blogger. It might be possible. What's your blog's address? http://purimpbeta.blogspot.ro/ - It's just a temporary blog. I want to minimize the width of the posts at 650px. with the tips you gave in this very useful thread I managed to get most up and running, minus a few details. When you open a post directly by its link, it tends to do that. We've addressed this issue and brought it up to Google's attention, but nothing has been done so far, unfortunately..
That means I got it as good as it can get now so I am happy. Glad to see DV CSS editor working again in Chrome Yoboy! Thanks for your advocacy in getting it fixed. Wondering if you know of a CSS tweak to widen the timeslide view? I tried widening using the 'adjust widths' panel and that did not seem to affect the timeslide page at all. I'm glad they've finally managed to get fixed as well, although it bothers me how long the bug was there before it got fixed.. I've set the column size to 400px in the code above, as the auto function isn't exactly kicking in. Now, this might not be a good thing. There are three columns in Timeslide, which means the viewer's screen must at least be able to accommodation 1200px.. Otherwise, the last column will appear below the second column.. It might be a good idea to change 400px to 350px or so, since the default blog width for most users is 1000px..
Firstly, thank you so much for all the help you give us! Your posts are amazing. Secondly, I have a problem. I use the magazine view, with a maximum width of 775 px. The photos I put up that's vertical has the perfect size, but whenever I have a horizontal photo, the text doesn't fit, and gets moved down to under the photo, and it all looks pretty ugly. I'd like to be able to have horizontal photos, but still have the blog width to about 775 px. Is it possible to have a maximum width for the photos I put up on my blog? Or do you know another solution, like making the text box width smaller? It would be amazing if you could help me! I'm trying to visualize the problem that you're describing. Let's take a look at your blog. What's your blog's address? As you can see in this blog post, the photo is too wide for the text to fit on the left, and it goes under the photo instead. The code made the text line up better under the photo, but what I'm trying to do is to give the pictures a maximum width, so that the text can fit to the right of the picture (as the standard is for when the picture is vertical). Though, if that's not possible, it sure looks much better with the piece of code you gave me! Thank you! ... Which allowed me to manipulate the width! Glad you got it figured, cheers! Is there a way of making the magins wider through the snapshot dynamic view template so that the posts are more centred with more negative space around them rather than all the way from left to right on the screen? I feel like the page is too congested with so many images? If possible to let me know that would be amazing - already used some of your codes to get it started! I don't see an automatic way to do so. 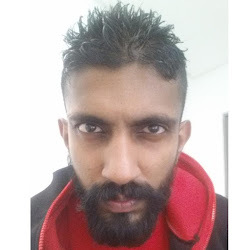 What you've got now is the furthest we can get - unless if Blogger decides to further refine the template by adding more handlers for developers. I hate all the unutilized empty space on both sides of the page, for the main posts page in magazine view as well as the static pages. Basically, I just want a solution that allows me have the least amount of empty space throughout my blog. Also, I followed your tutorial to insert a custom image header into my blog. I am wondering if instead of a .png file, I can use a flash object as my header in the same manner...? But you're just extending the layout to fill the gap. The inner elements are still bound to fixed sizes. I wouldn't recommend changing these sizes, because the current set of sizes has been optimized for all display. Altering these values will only make your contents truncated in smaller devices. And nope there isn't a way to place a new element there (image, ad, etc). As for the header, I haven't tried using a flash object before - but feel free to give it a try. Is there a way to adjust the width for the magazine layout in dynamic view. Not the actual width of each post page, but the width of the main page where it lists all the posts. I'd like to expand the width so you see a bit less of the background. But you're just extending the layout to fill the gap. The inner elements are still bound to fixed sizes. I wouldn't recommend changing these sizes, because the current set of sizes has been optimized for all display. Altering these values will only make your contents truncated in smaller devices. I've tried changing the size of the cards in Flipcard and Mosaic, and it seems like there isn't a feasible to do it that would still allow the template to dynamically adapt to it - not without breaking your template of course. This should do. Go to Template Designer - Advanced - Add CSS - paste the following code - Press enter after the last character of the last line } - Apply to Blog. 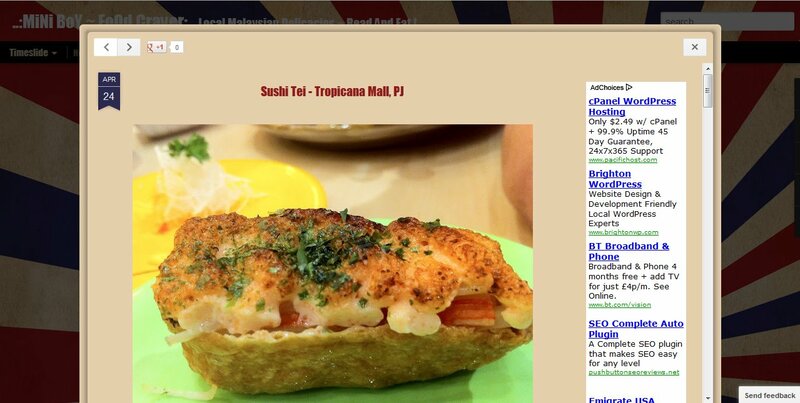 Yeap, it's customised for your blog.. Thank you Yoga for the code but I got some problem. I use flipcard and the code works well on chrome but it doesn't load properly on FF, i.e the post's width extend but the content's width does not. I have to refresh it for the code to work. Every time I start the computer I have to refresh the page for all the settings to work again. I've already adjusted the time-out code to 1000. This is kind of annoying cause I got mostly pictures on my blog (comic books actually) and every post I have to tell people to use ctrl + or refresh the page to enlarge the images. Do you have any solution? Please help!!! Sorry for the late reply. Do you mind if I take a look at your blog? Ok i really don't know what happened or how to fix it. I've recently added your css for changing the comment bubble color in dynamic views. Didn't do anything else. But for some reason now my post width has changed to 144px instead of the previous 750px. I cant find it in my template and have tried adjusting the width with the "customize"option but... nothing. I'm really bad at code so what to do??? I've left the faulty post in so you can see for yourself. Sorry disregard last message. I havent actually solved the problem, aka i still dont know what was wrong, but now my posts do come out normal now. Ok I'm soooo sorry cause it kinda appears like I'm spamming you... Sorry! I'm just lost and figuring things out as i go. I found the glitch. When I add labels to my post the post size seems to change to 144px. Without labels, the post size stays 750px. Now that i know the problem, think you still feel like helping me...? Is this still happening? Have you posted this in the forum? If so, could you gimme the link to the discussion? When you click on a post, the pop-up text is too wide. I'd like to reduce it by 30 to 40%. In other words, each line now contains between 18 to 20 words. I'd like to make that between 12 and 15. Is it possible? Also, if it's possible, I'd like to make the pop-up box more narrow as well. Thank you very much dude. Cheers from Mexico. Try playing around with the value in the code above. That's as close as we can get. Hi there! Is there a way to stop the posts from showing up in a pop-up altogether? I rather them be in the full page layout (such as the pages show up). I'm afraid not - this behaviour is embedded within the core structural script itself. Consider using Sidebar or Classic views if you'd like to show your posts in full. Cheers! I know it's irrelevant question but I hope you'll help. I started a new blogger blog and applied a custom template, I want to Adjust the whole blog width but the problem is that the Width adjustment option is disable in my template. Can you please guide me how to manually set the width of my blog? or how to enable that option? Custom templates usually have fixed width - and this value is usually tied in with other elements in the template (which makes changing it a little bit difficult if we were not to break the template). Try contacting the maker of of this template. I'm using a layout with the post area on the left and single sidebar on right. I'm trying to figure out a way to widen the post area (or lessen the distance between the post and sidebar), so there's not so much wasted space between the post area and sidebar. Would you happen to know how to do this in either the "Simple" or "Picture Window" templates. I'm not sure if these are Dynamic themes but I'm thinking they aren't so not sure if you can help or not but anything would be appreciated. Your template isn't a dynamic one, but I can still help. Add the following to your 'Add CSS' box. Feel free to adjust the value 105. Hello Yoga, many thanks for the excellent tips on this site! I am using Flipcard view and have maximised the post width with your code above. However on iPad and iPhone the post width is too narrow, and I am unable to increase the width. Is there a way to increase the width of Posts to the maximum on iPad and iPhone?